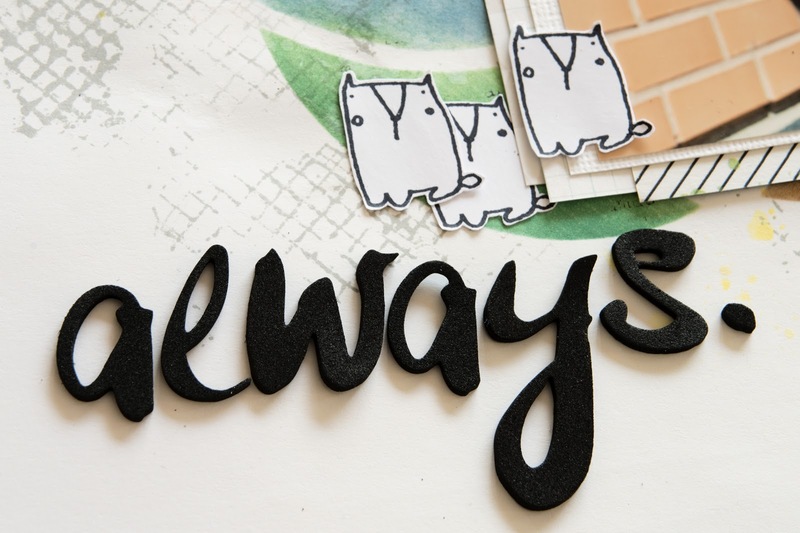 Time for show you my latest tag in series '12 Tags of 2014'! 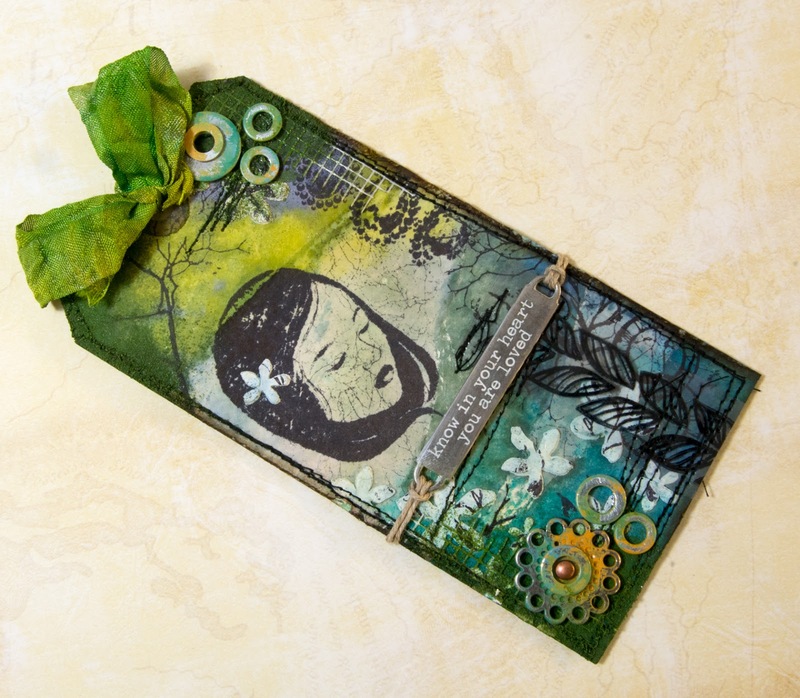 It's no secret that I'm a big fan of Tim Holtz and his product lines, I love playing with his inspirational stamps, but this time I wanted to use a different range of products. 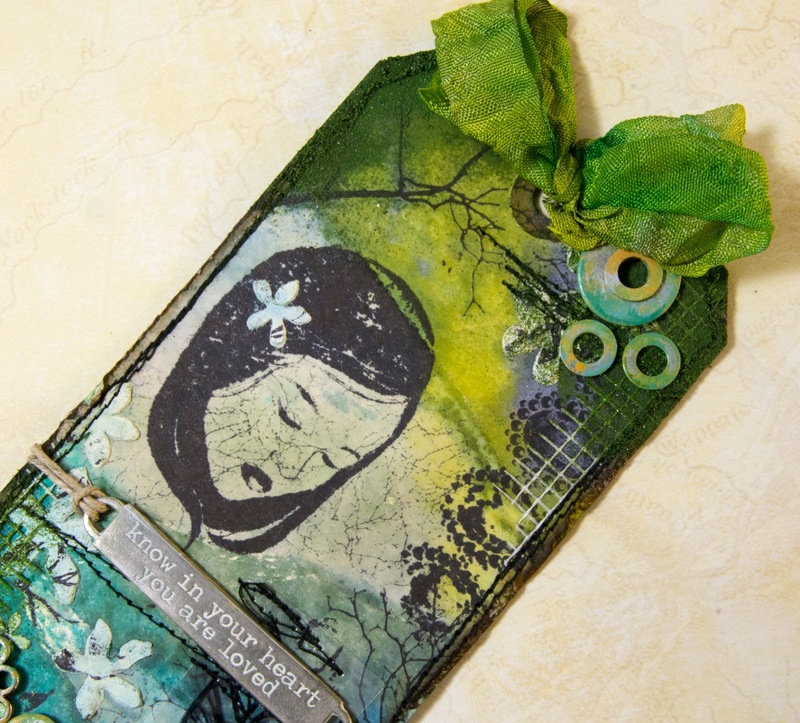 Actually my August tag could be labelled as '3rd Eye meets Tim Holtz', as all the stamps and masks I used were from a Polish manufacturer, 3rd Eye. 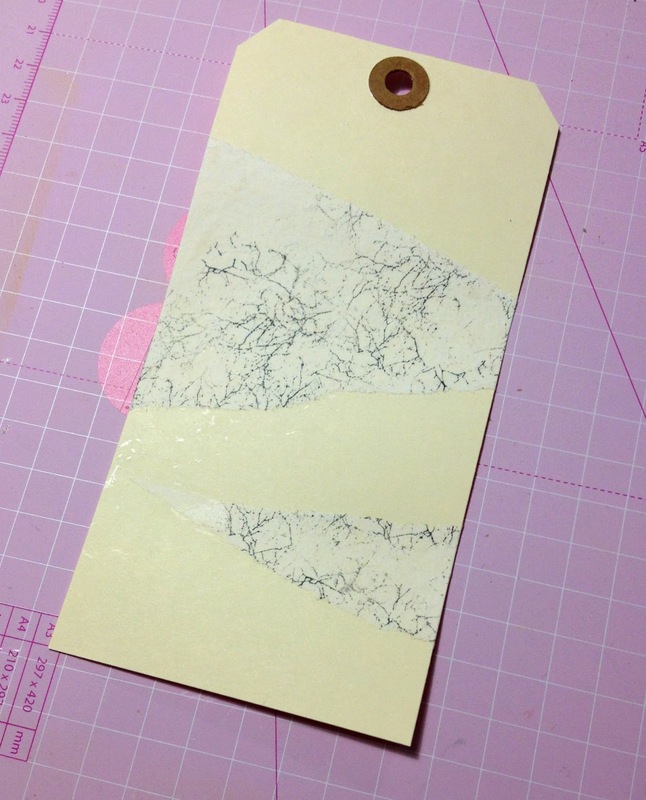 On the tutorial the main image was stamped on white washi tape. 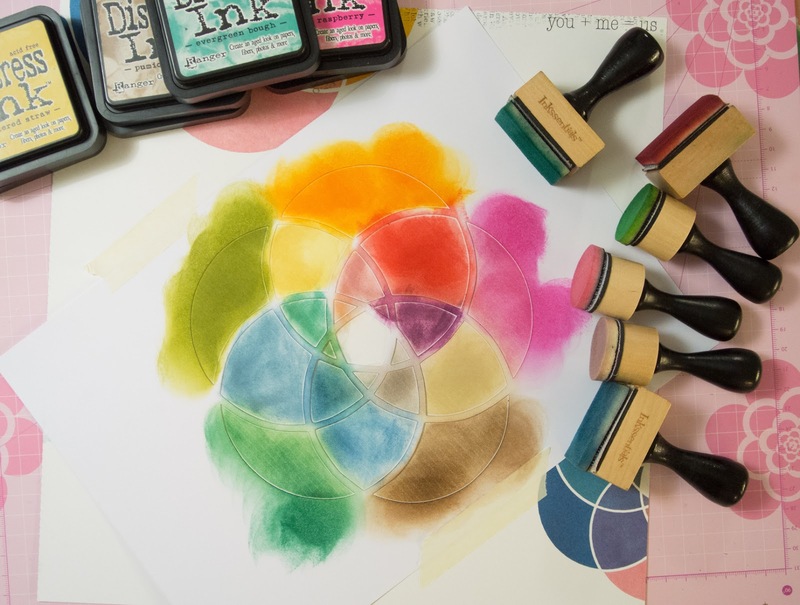 Washi tape resists the Distress Stains and highlights the image stamped on it. However, my white washi tapes had a lot of black texture, and because I did not want my main image to get too busy, I decided to use stamped white tissue paper for this purpose. I glued strips of it down with gel medium, and I think it worked out quite fine. I only used gel medium on the back side of the tissue paper as I did not want the area to fully resist all water soluble colors. 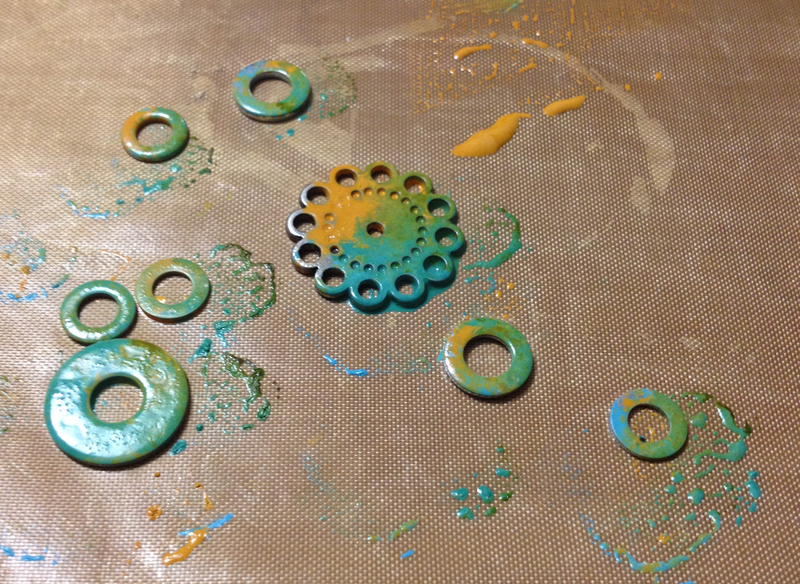 The metallic embellishments except the one flower shaped piece are washers I have purchased from a local hardware store. I think they look pretty good when you paint and distress them. Not all metallic embellishments need to be expensive! The grid pattern on the background is again one of the hardware store purchases: Drywall tape cut in narrow strips and glued down on the tag. 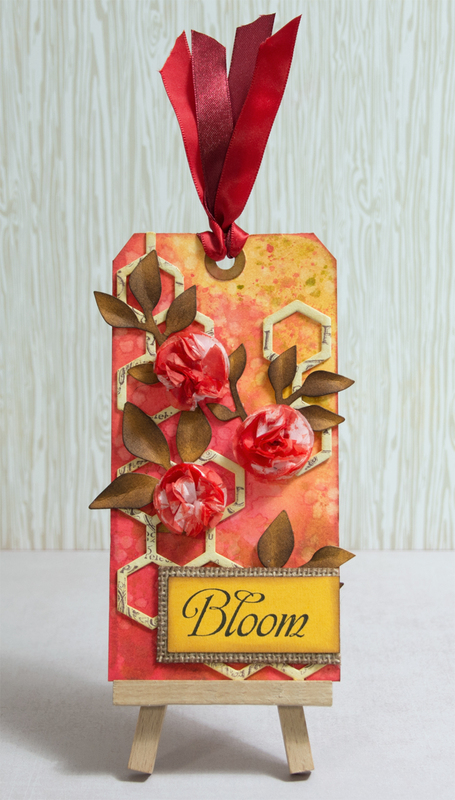 The original tutorial suggested to embellish the tag with a piece of film strip, but I replaced that with leaf/spike patterns stamped on foil. This was again such a fun project to make. 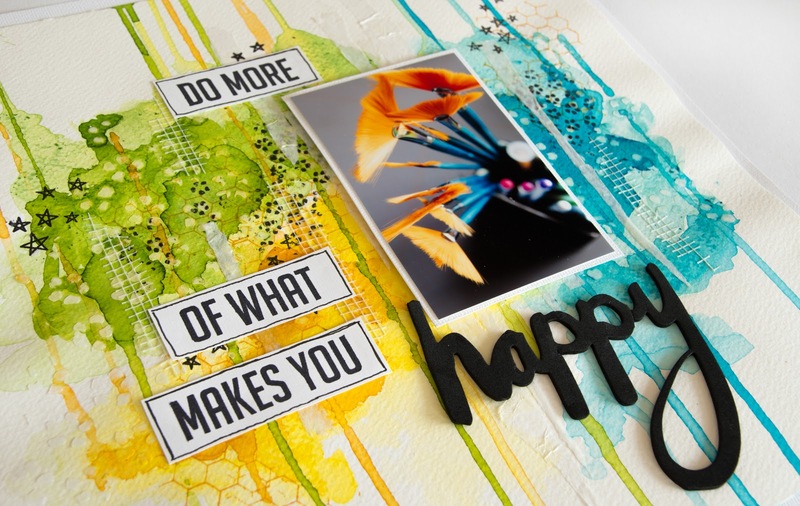 A new 12 Tags of 2014 tutorial will be revealed soon, and I can't wait to see what Tim has come up with this time! lol! All classes took place in the great hall on the ground floor which was quite handy: There was no need to carry crafting supplies nor tools from one place to another. 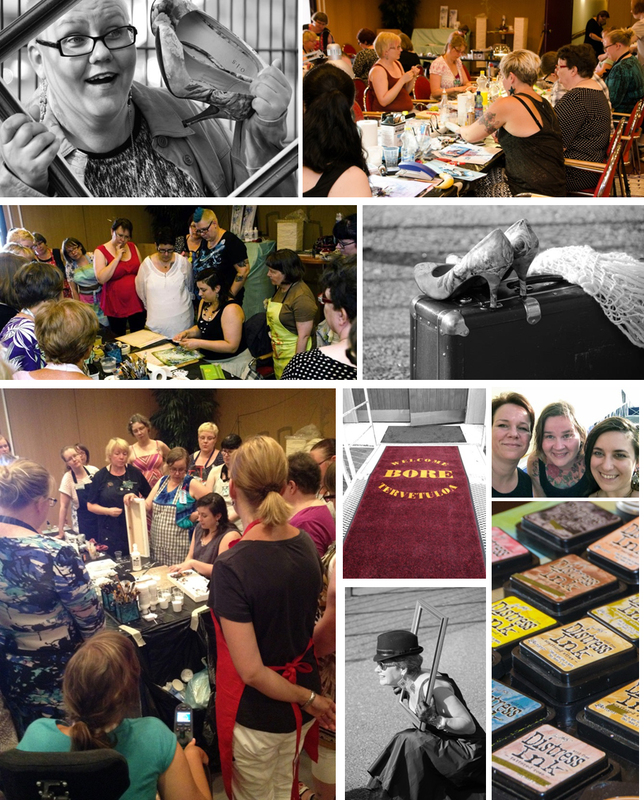 On our weekend agenda there were 5 workshops: A canvas collage class ('Overemotional') and a paper layout class ('Colorology') by Finnabair; a photography workshop and mixed media layout class with theme 'Empowering scrapbooking' by Minna; and a mini album workshop by me. All participants followed the same class schedule which in my opinion boosted the team spirit; we all had so much fun together! Even though Minna and I were the event organizers we decided already early on that we would take all the classes, too. And I'm so happy we did! Even if I've taken a few Finn's classes in the past she always manages to introduce me new techniques, ideas, hints, and tips to take home. The canvas class on Saturday took 6 hours, but time really flew - it felt like just a couple of short hours! I really liked the fact that there was enough time for both Finn's workshops so that nobody fell behind nor had to rush too much. 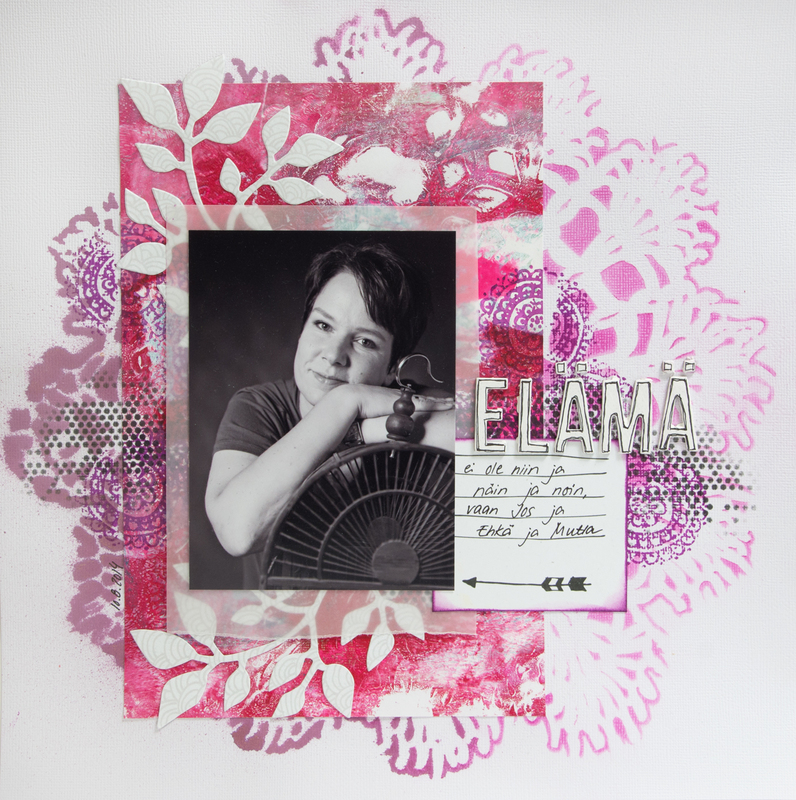 I also wanted to show you the layout I made on Minna's mixed media class. 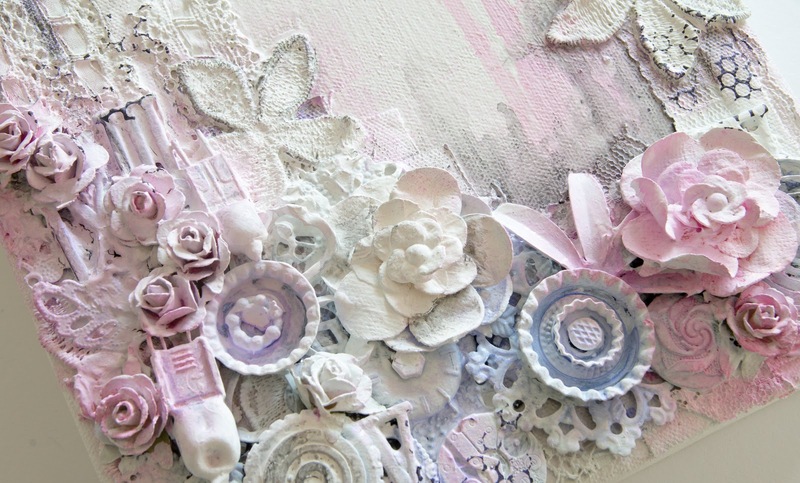 Te background is made with mists and pan pastels, and the photo is on a heavy paper panel colored with gelly plate. Loved playing with all the different medias and techniques! I want to thank our lovely main sponsor, Fiskars, for the generous support of our event. 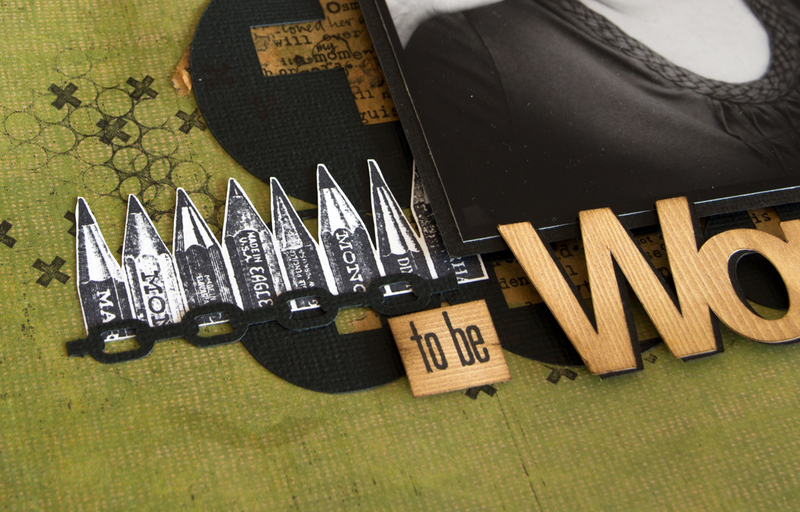 We all loved playing with our new Intricate Shape Punches, and the AdvantEdge punches were in heavy use, too! 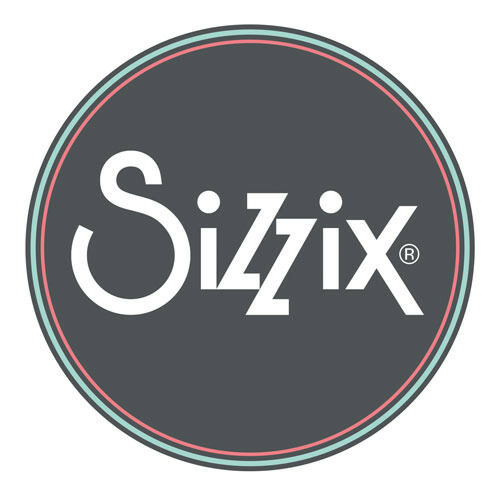 Many, many thanks also to Paperilla sponsor Stampendous; and to Tattered Angels, 7 Dots Studio, 3rd Eye, SODAlicious, Prima Marketing, who have supported us along our creative way. 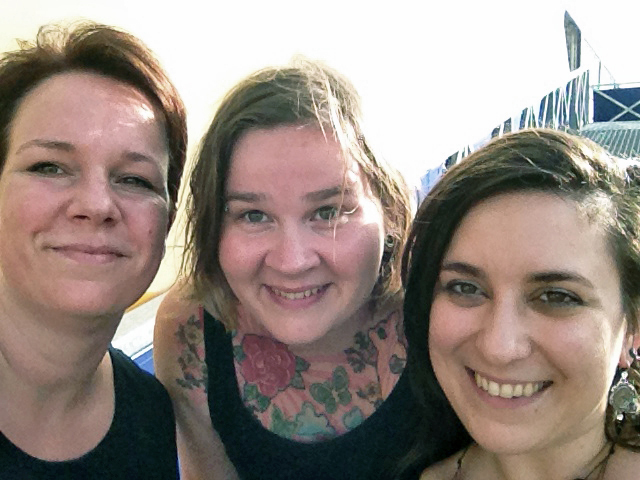 You all played an important role in making our weekend possible! And last but not least: I want to thank each journey participant of a memorable weekend. You made our dream come true. Hoping to see you all again soon! 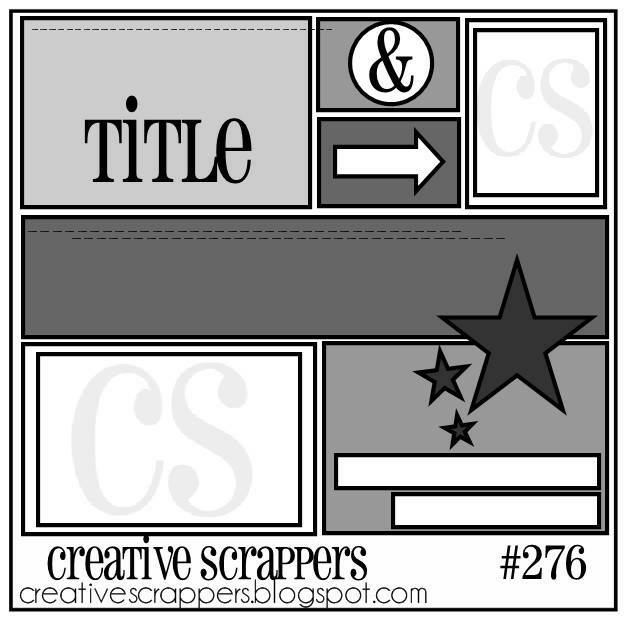 A great new Creative Scrappers sketch #276 has been revealed! This time the challenge contained an exciting twist, as the CS design team got together with the talented design team of The Cut Shoppe! 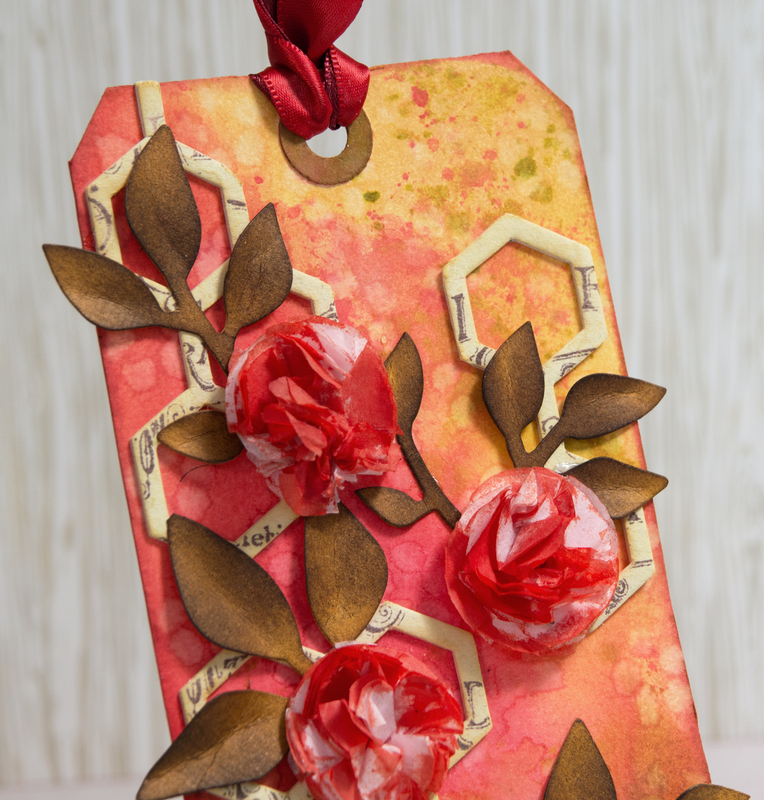 Both design teams used the CS sketch, together with amazing goodies from The Cut Shoppe! How cool is that! 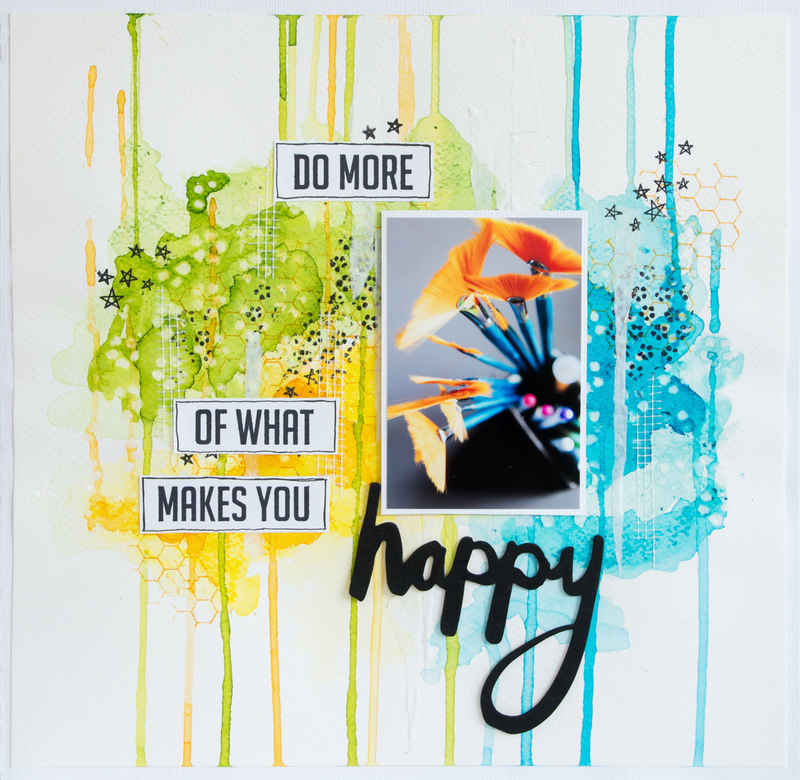 If you have not visited The Cut Shoppe yet, I recommend that you hop over and have a look at the fresh and inspiring designs by Ashley Horton! They will get your creative juices flowing, I guarantee you that! Here's my layout. I used the cut file 'Tricky Triangles' on the center of the layout, and also created a stencil using the same image (only shrank to approx. 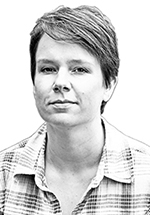 1/3 of the original size). 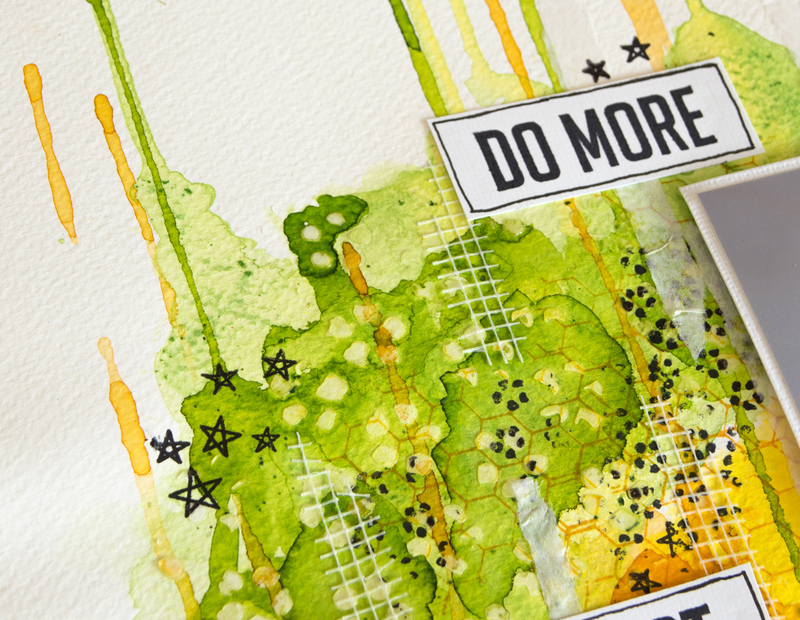 Using this stencil I inked the triangle images on the background, and highlighted them by embossing with clear embossing powder. 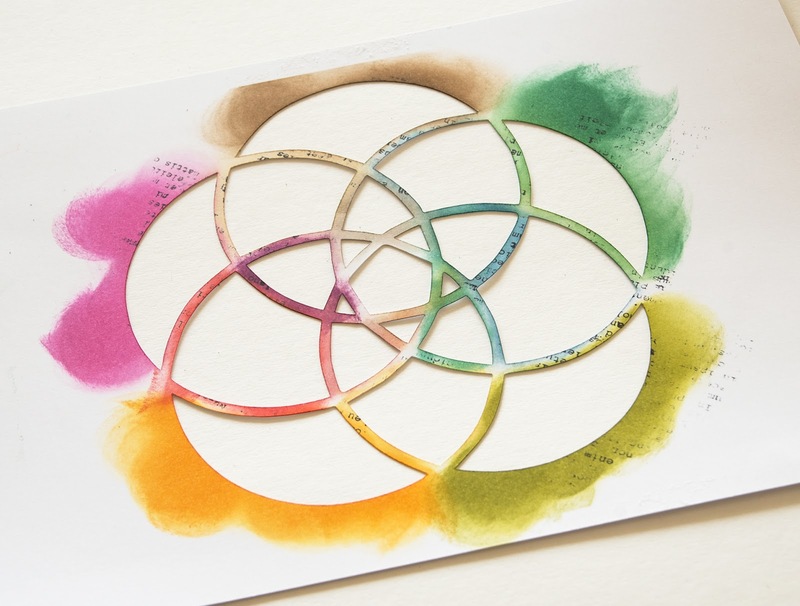 Such an easy way to decorate your background paper! This layout was really fun to make. 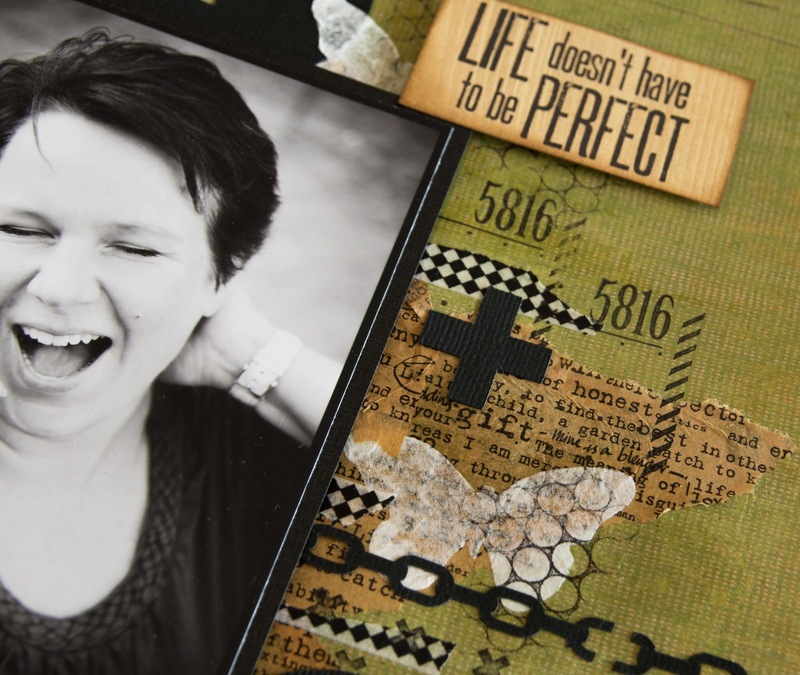 True scrapbooking pleasure! 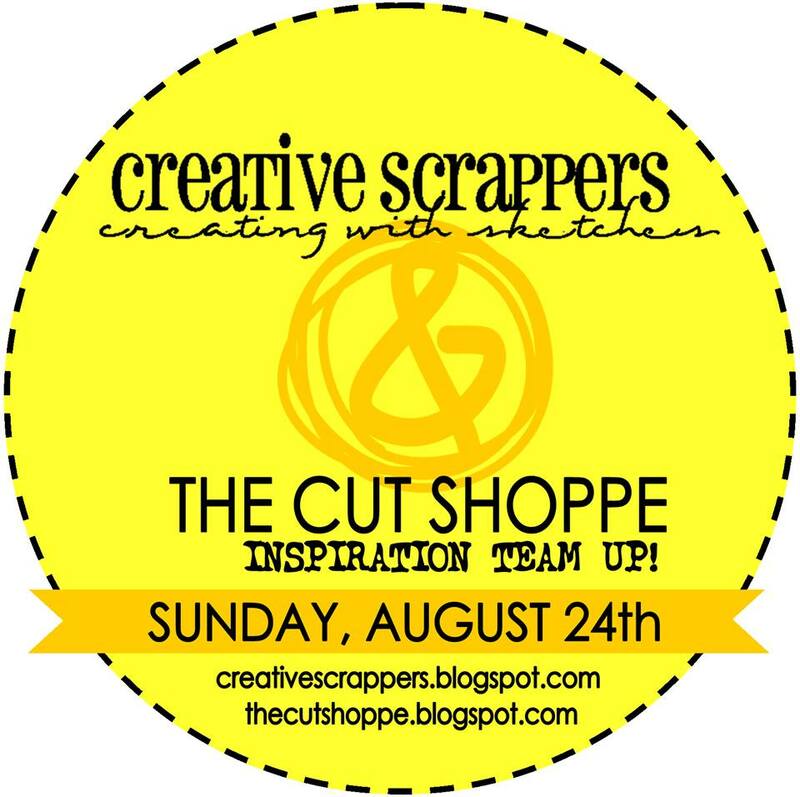 For Sketch 276 Ashley from The Cut Shoppe will be offering a 20$ prize to her shoppe to one lucky winner who participates with sketch 276 and submits it by August 31st. 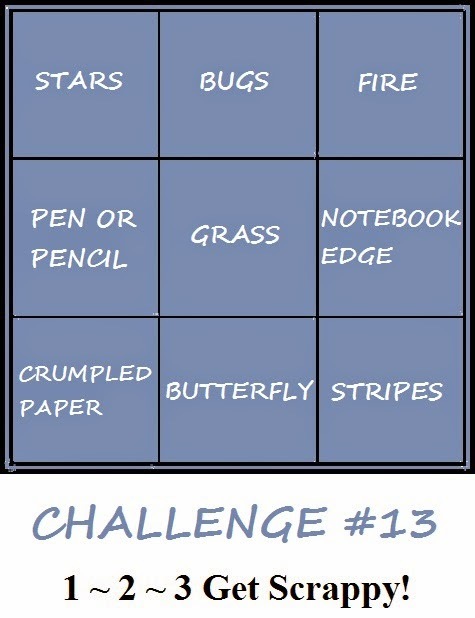 Hope you get inspired and play along! 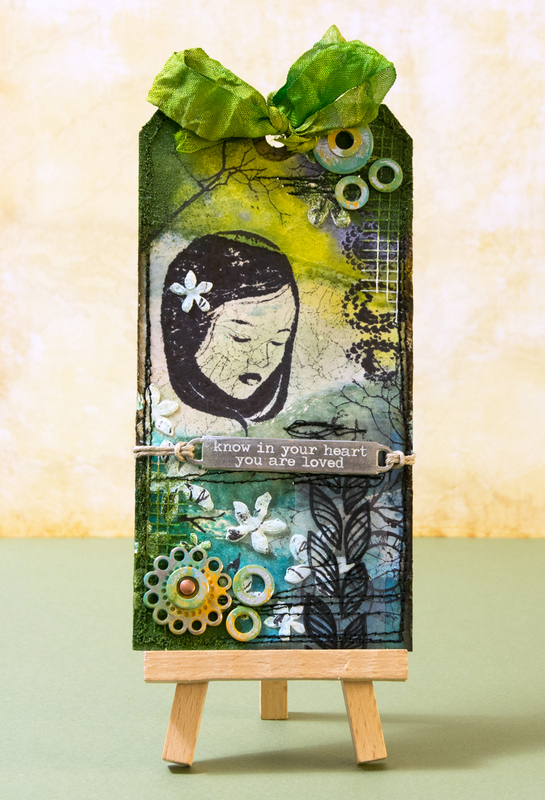 For this Sunday's blog post the Allt Om Scrap design team played with different types of stencils and masks. 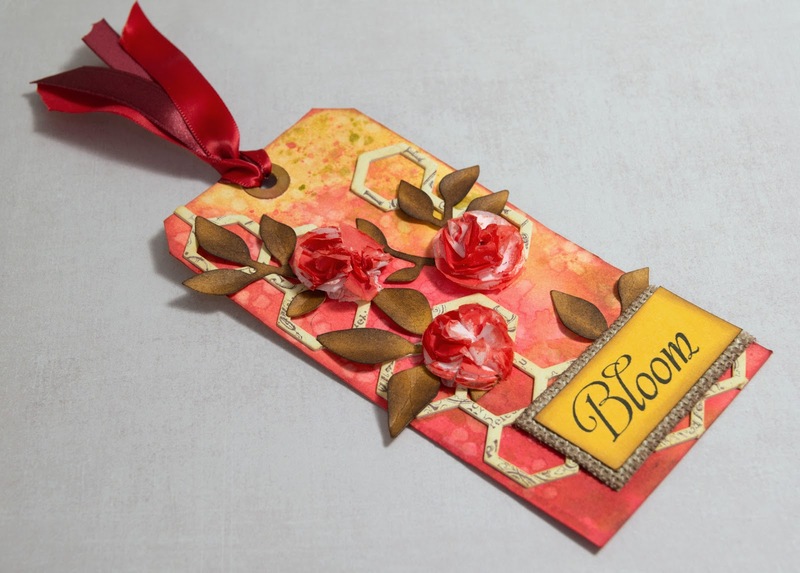 It almost felt like this theme was chosen just for me, as I love using stencils on all my paper crafting projects. For viewing all gorgeous DT layouts, just follow this link! 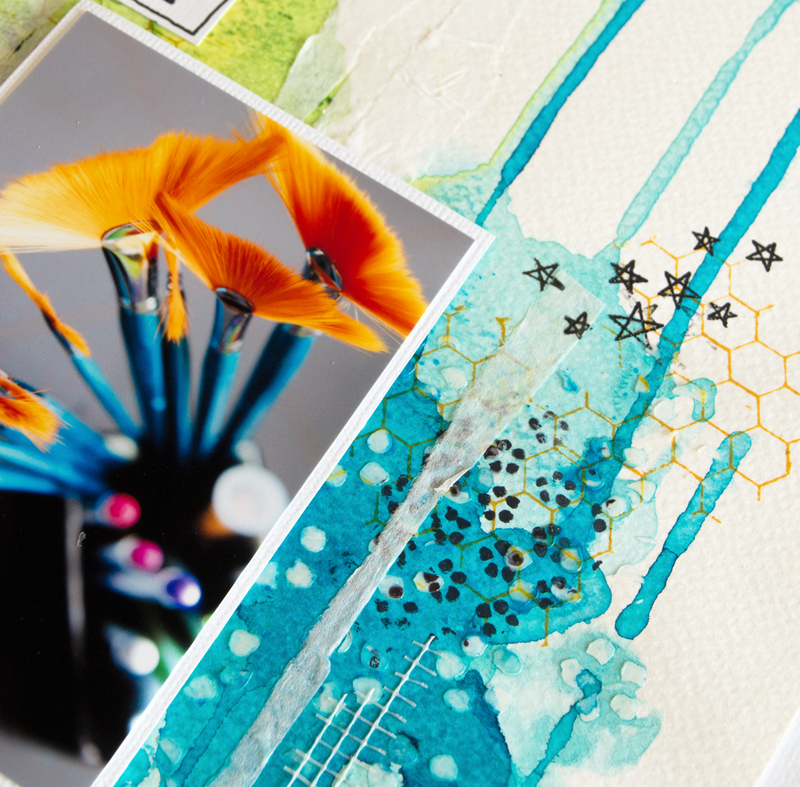 For my layout I got the inspiration from the patterned paper from Studio Calico. I liked the geometrical circle flowers with bright colors, and wanted to try to repeat the pattern in the center of the background using a self-made stencil. 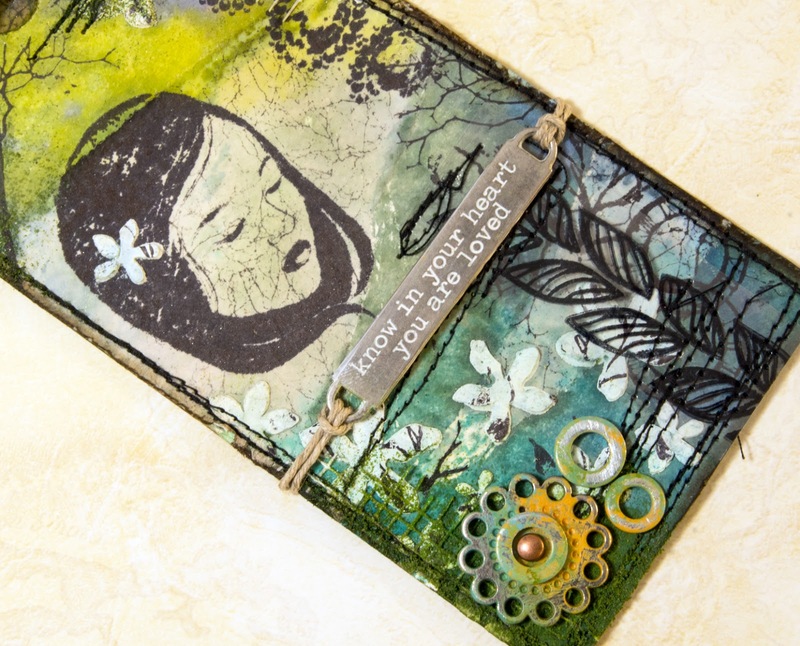 I added some more texture to the background by stamping with grey and black ink. The stamps I used were from SODAlicious, Wycinanka, and Unity Stamps. 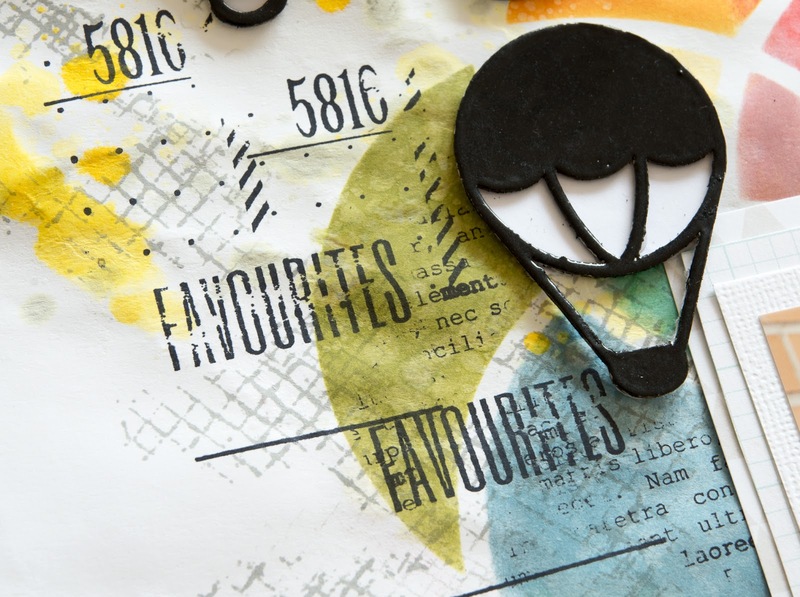 Hot air balloon chipboards (Wycinanka collection) I colored black with embossing powder. I wish you a nice and sunny Sunday. Thanks for stopping by! With this challenge our 1-2-3 Get Scrappy! 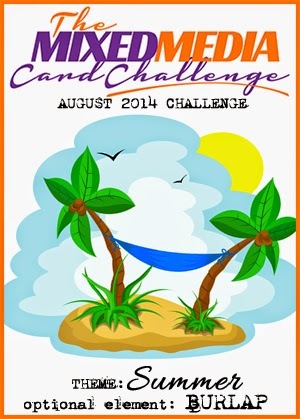 challenge blog is celebrating it's first birthday. Woohoo! Happy Birthday! 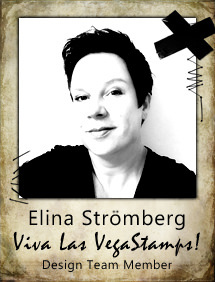 I want to take this opportunity to thank you our sweet host Melina for the inspiring challenges and all the hard work she's doing for our team and the blog. Being part of this team has been so much fun - I love working and chatting with our amazing group of ladies! 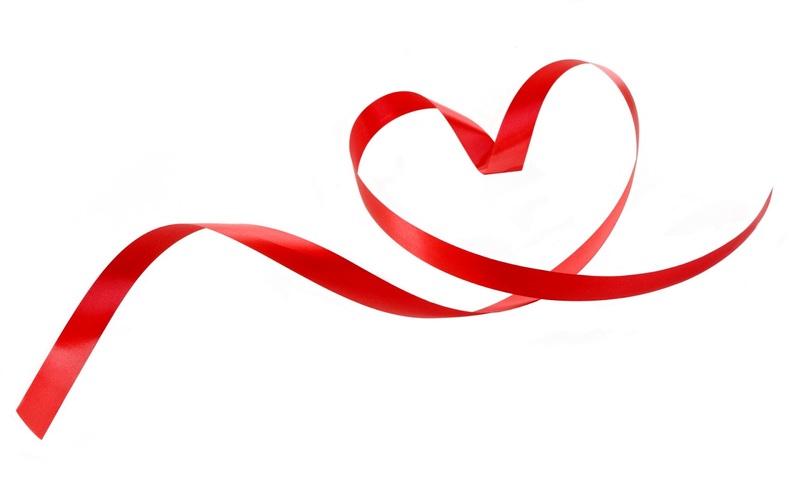 ♥ ♥ ♥! 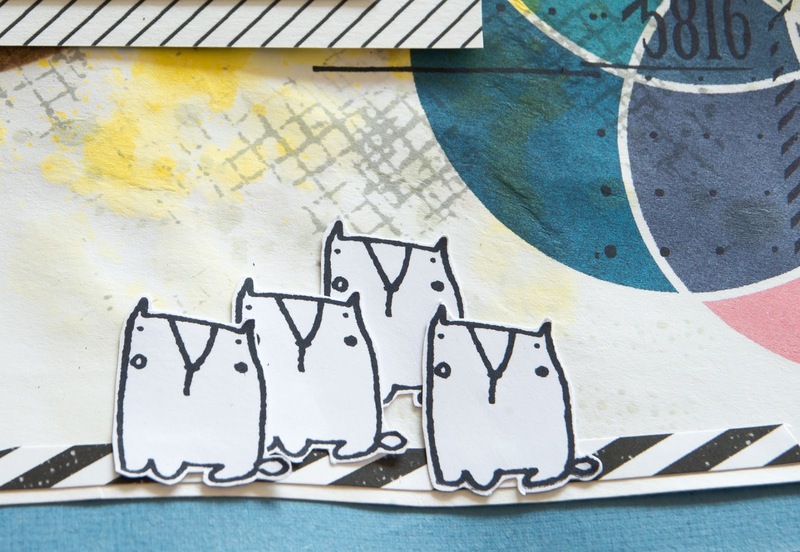 For my layout I chose the left vertical line: Stars - Pen - Crumpled paper. Stars are stamped on the background, pen is used for doodling, and crumpled paper is white tissue paper I have glued on the background with gel medium. For the background I used heavy watercolor paper, as I wanted the paper to hold several layers of watercolor without issues. 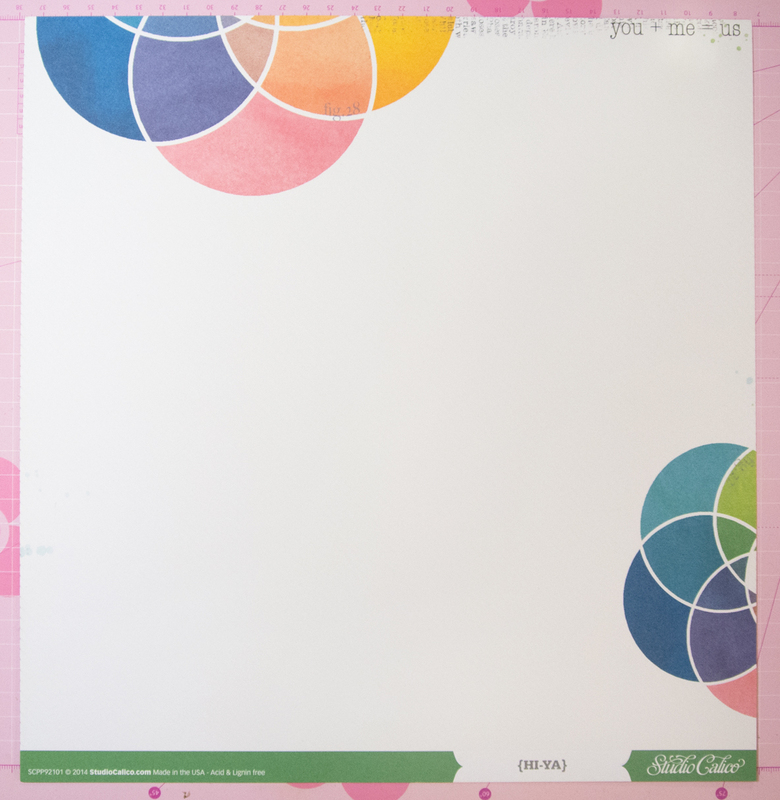 The size of my watercolor paper was bit smaller than 12"x12", so I attached it on a white sheet of standard cardstock. Before adding the watercolors I used a Prima/Finnabair stencil and gel medium to create flower patterns on the background. 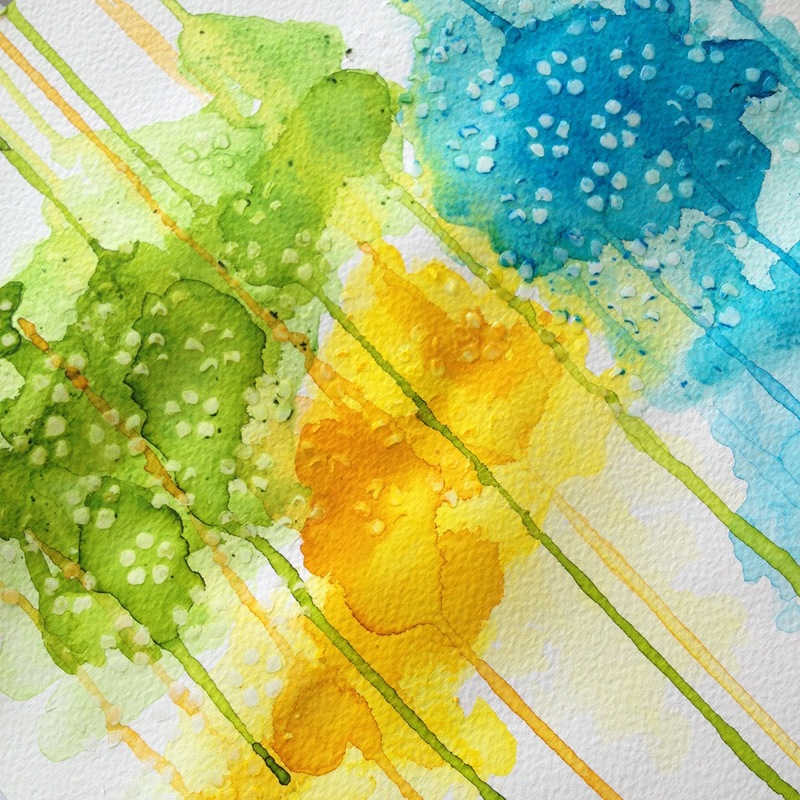 Gel medium resists the watercolors which made the look of the watercolor elements more interesting. 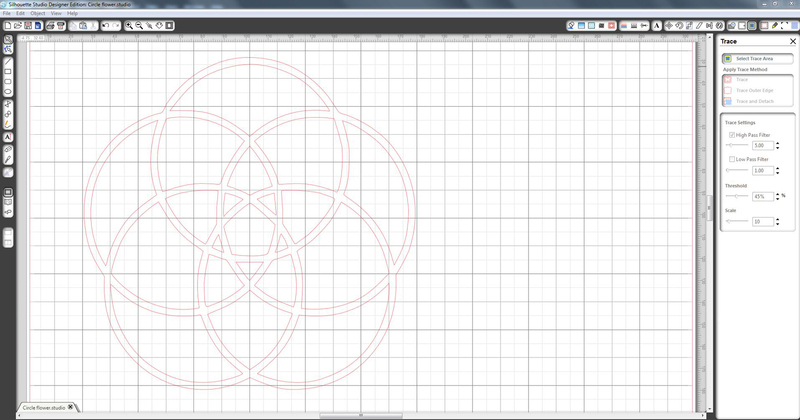 The grid texture is drywall tape I bought from the local hardware store. 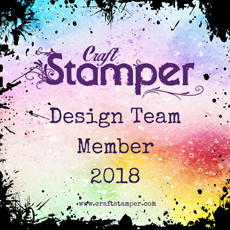 Header text is stamp is from Unity Stamp Company collection. I wish you a nice day and thank you for stopping by! Hope you play along at 1-2-3 Get Scrappy! 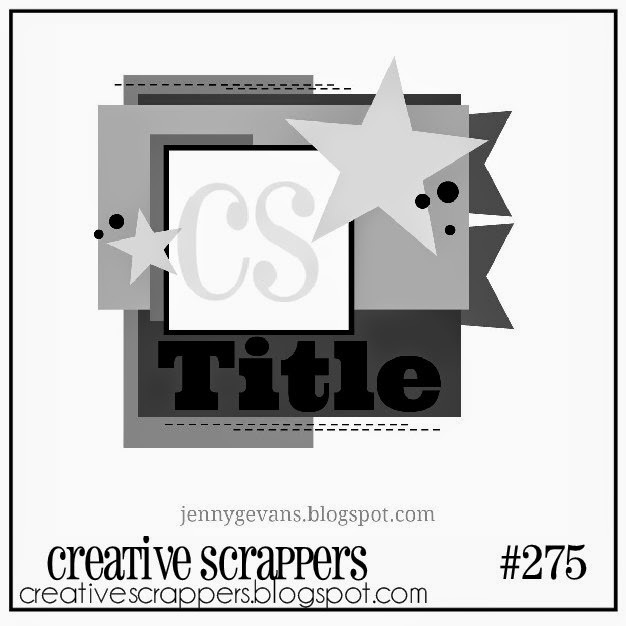 Time for a new Creative Scrappers sketch! 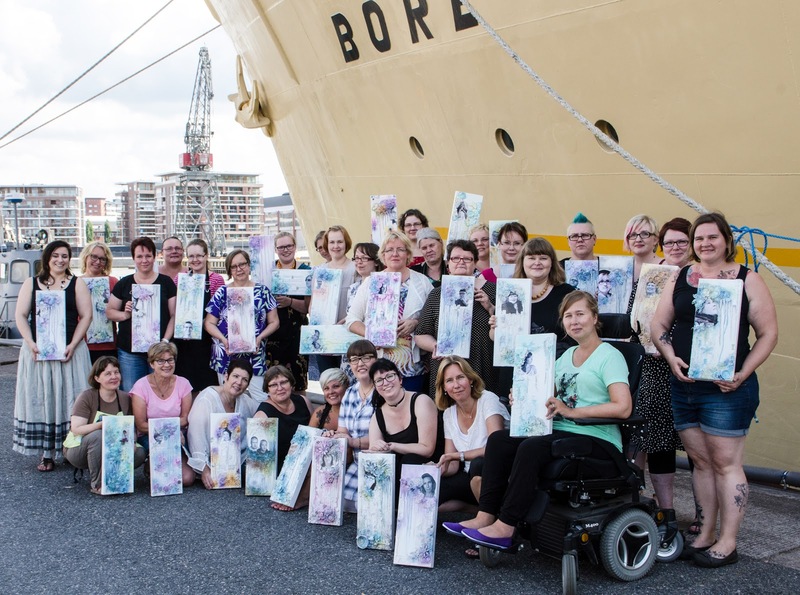 This inspiring sketch #275 was actually revealed already on Sunday, but end of last week I was so busy with preparations for our weekend long Creative Journey event, that I just could not steal a moment for blogging. Now I have returned home from our Journey with a smile on my face, and would like to show you my take on this great sketch! I was planning to follow the sketch pretty carefully, but after I had cut the background image with my Cameo, plans just changed! 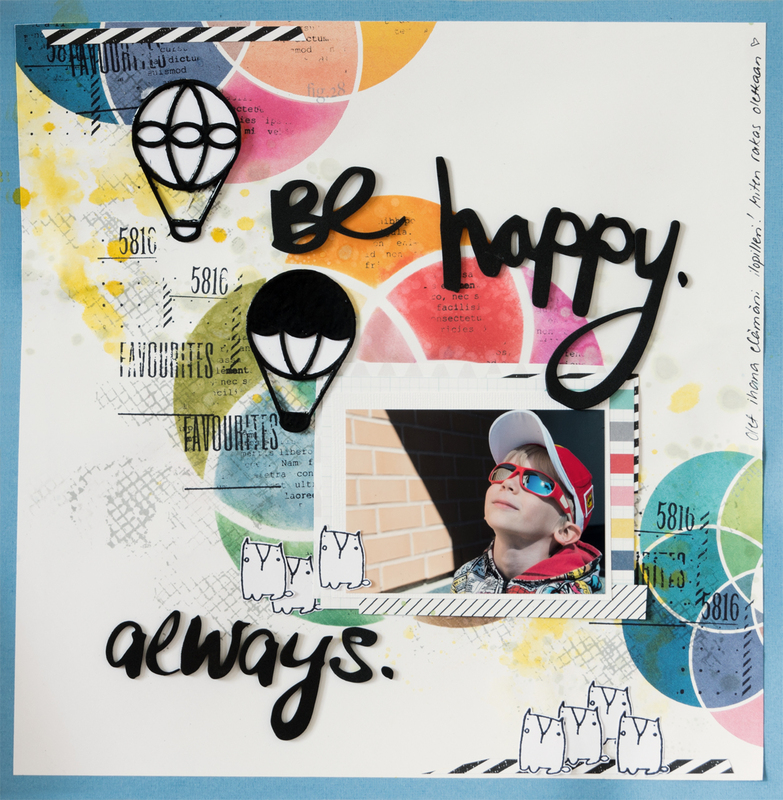 I loved the image by The Cut Shoppe, and soon realized that my layout did not need much additional embellishing. 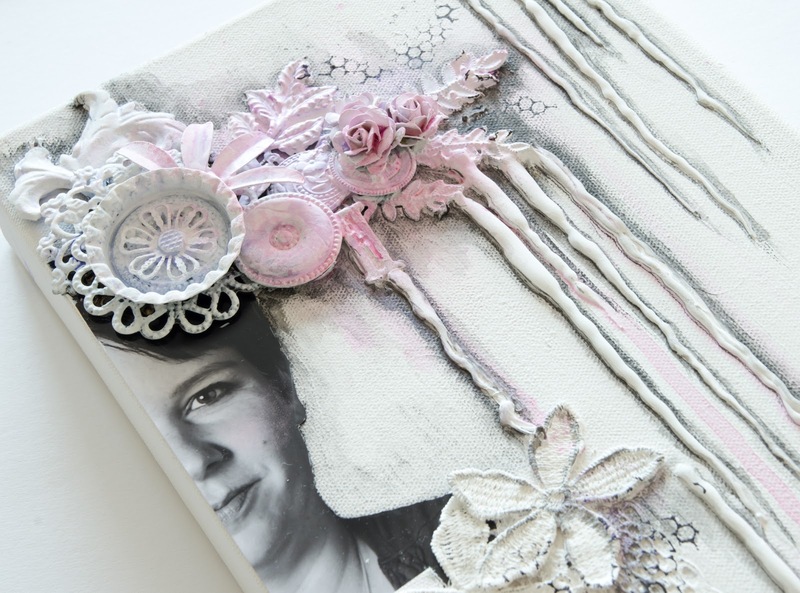 The textures behind the cut image are made with stamps, washi tape, and tissue paper (textured tissue paper & die-cut white butterflies) glued down with gel medium. Title is cut twice with Cameo and colored with some brown inks. 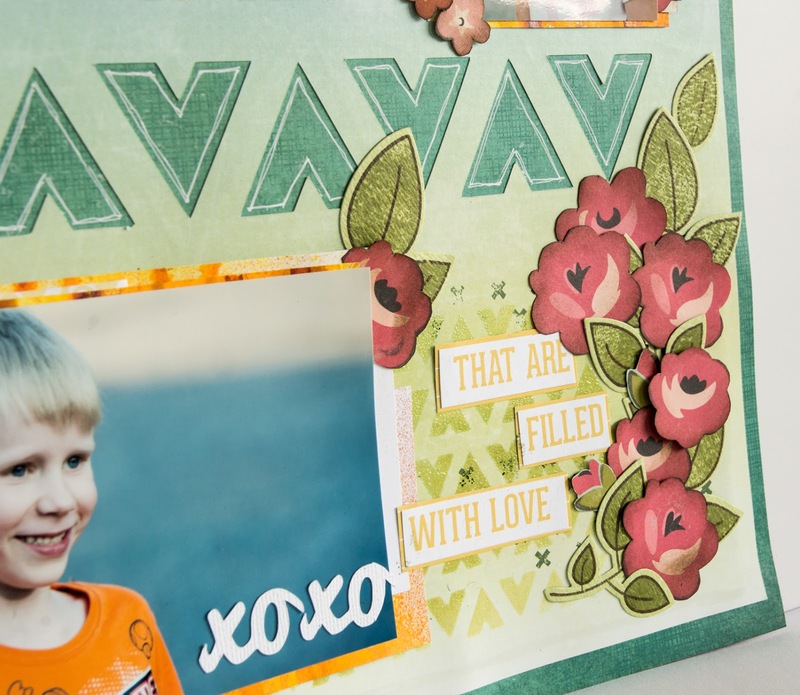 To Win a prize from Pinkfresh Studio all you need to do is create a layout and enter the challenges using the inlinkz widget at the end of the reveals for Sketch 274-275. Deadline to submit your layout is August 31st at Midnight ADT. Pinkfresh Studio is also looking for new friends to join them on Facebook. If you aren't a fan yet take a second and go LIKE their page. filled with great Pinkfresh Studio goodies! The beautiful, warm and sunny summer vacation is over, and schools have started which has set a new stable rhythm to our family life. But I'm not complaining even if I'll be missing the long crafting week nights. Stable is good. And the kids were thrilled to see their friends after the long summer!